In March 2017, Monash University achieved four out of the five criterions of the Healthy Toether Achievement Program. The Achievement Program is a framework recognised by the Victorian Government. It is based on the World Health Organizations Healthy Workplace Model and acknowledges health promoting workplaces and supports an organisation’s position as an employer of choice. The organisations culture and how it promotes positive mental health, physical activity, responsible alcohol consumption and promotion of a smoke-free environment. Policies and procedures in place and resources and opportunities to improve physical activity, mental health programs, increasing knowledge around responsible alcohol consumption and support for quitting smoking. In June 2016, Monash University won the 2016 Global Healthy Workplace Award in recognition of its healthy workplace programs, and contribution to workplace health. Now in its fourth year, it is the only international awards program dedicated solely to the recognition of healthy practices and programs in the workplace.The awards recognise those workplaces that have made the biggest impact on the health and wellbeing of their workforce. Monash Universitywoninthelargeemployercategoryagainstotherfinalists Hospital Alemão Oswaldo Cruz, Brazil and Johnson & Johnson, Brazil. Speaking after the awards ceremony in Washington DC, Monash University’s Occupational Health Physician, Dr Vicki Ashton, said the award adds to the University’s national and international reputation as an employer of choice. “We are delighted and honoured by the Global Healthy Workplace Award. It is tremendous recognition for Monash as a university that knows a healthy workplace directly contributes to an engaged, productive and healthy workforce. The breadth and diversity of our Wellbeing at Monash programs, whichcoverthefourpillarsofphysicalhealth,mentalhealth,nutritionandgeneralhealth,wasrecognisedbythepanelasworldleading,” Dr Ashton said. 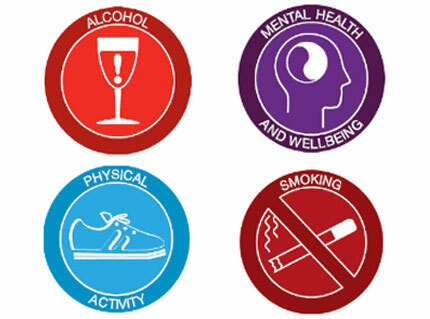 Major successes under the Wellbeing at Monash program include: the 10,000 Steps Challenge; targeted Staff Wellbeing Activity Programs (SWAP) that provide tailored physical activity classes; health risk reduction programs for cholesterol, diabetes, blood pressure, nutrition and stress; education programsformentalhealthandmindfulness;andtheintroductionofasmoke-freeUniversityin2016,withfullyfundedquitsupportprogramsfor both staff and students. (Applications were reviewed against the World Health Organisation (WHO) healthy workplace framework and model for action). In March 2013, Monash was announced as a runner-up in the 2013 Global Healthy Workplace Awards. Opportunities to replicate successful initiatives around the world. Dr Vicki Ashton, Occupational Health and Wellbeing Physician, OHS says it is well-deserved recognition for the resources the University continues to make available to improve the physical and mental health and wellbeing of employees. "Participating in this awards program has allowed us to assess and evaluate our Wellbeing at Monash Program against WHO standards for a healthy and safe workplace," Dr Ashton said. "The range of programs, resources and policies are delivered collaboratively across the University by a team of dedicated occupational health and wellbeing professionals in OHS, Campus Community, Monash Sport and HR. Being recognised as a runner-up in the large enterprises category has confirmed thattheUniversityisprovidingnotonlyanindustryleadingprograminAustralia,butalsoworldwide." The judging panel comprised judges from Europe, Africa, Singapore, Asia Pacific, North America and South America. 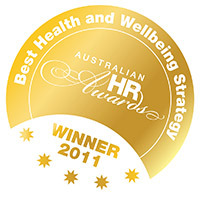 The Wellbeing at Monash Program was selected as the winnerof the Best Health and Wellbeing Strategy at the 2011 Australian HR Awardsand as afinalist at the 2012 awards. The award recognises excellence in the area of corporate health and wellbeing. evidence that initiatives are aligned to the needs and expectations of employees.